~ ~ ~ EPC Updates ~ ~ ~: Q: When Will the White House Be Seashore Property? Q: When Will the White House Be Seashore Property? 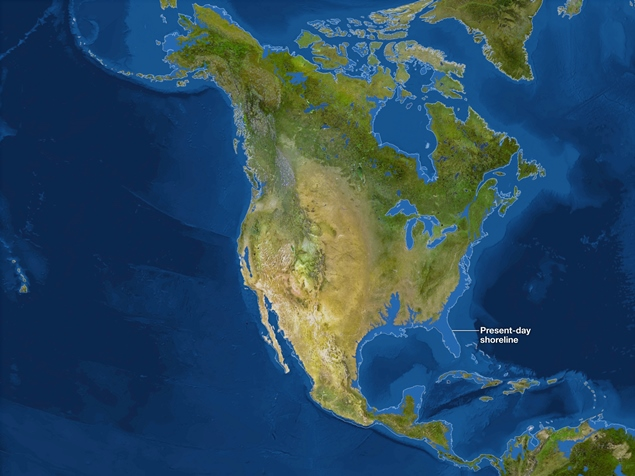 Interactive, Adjustable Sea Level - "Flood Map"
Comment: No doubt a very controversial topic. Front page news on yesterday's New York Times was the recent release of a White House report which indicates climate change is already underway and an increased number of disasters will be a result. A development certain to lead critics to charge the report and publicity are nothing more than a political agenda wrapped in marginal science. But regardless of which side in this debate eventually proves correct, there should be one point on which both sides can agree at this time. It's encouraging to see the topic is being added to 100's of other contingency plans in the U.S. Armed Forces "what if" play book - where hopefully it remains unused, but eliminates the issue of, "Failing to plan, is planning to fail".